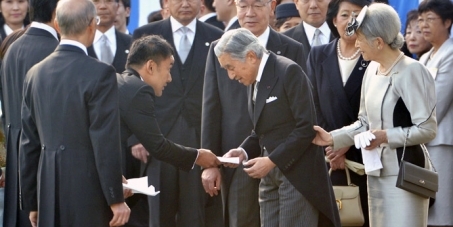 To the Japanese Diet, Taro Yamamoto’s action, breaking customary protocol to remit a letter to the Emperor of Japan, was to call the Emperor of Japan’s attention on the plight, living conditions of the people of Fukushima, children obliged to live in contaminated environment beyond acceptable level. Taro Yamamoto’s sincere and devoted action, highly concerned for the people welfare, deserves respect and does not deserve a punishment nor a destitution. It is the duty of an elected official to mind foremost of anything else the welfare of the people. Safety of children being utmost important, lives of children threatened taking precedence before protocol.. In that action, Taro Yamamoto acted in the purest form of Yamato damashii, the honorable Japan that we citizens of the world have learned to love and respect. We humbly submit this petition, to voice our full support and high respect to Mr Taro Yamamoto.